Not much. Just posting “Wolves, In Darkness” to the CODEX site. Free novella, set in the Lightbreaker world. Takes places prior to that book, and informs some of the conflict that’ll come about in Heartland. The publicity machinery will whip it into a frenzy over the next few weeks, but if you wanted to get a head start and all, here’s your chance. Writing php code, wrestling with Oracle, writing java code, wrestling with Oracle, writing the novel, staring at the scenery wondering if I missed my stop, playing with the kids, wondering where the night went, sleeping (not enough), writing code, wrestling Oracle, writing the book, playing with kids, wondering, sleeping, writing, writing, writing, playing, wondering, sleeping (not enough!). Repeat. That’s been my week. Off to Portland tomorrow for Orycon. I didn’t make the cut for programming so I’ll be haunting the bar through Sunday. Saturday night, though, me and the lovely wife are going to see The Sisters of Mercy. I know. Who would have thunk it? Still not a goth band, apparently. I love the quote on the website: “We are a rock’n’roll band. And a pop band. And an industrial groove machine. And intellectual love gods in our spare time.” The “intellectual love god” part is, I’m sure, supplied by an upgraded Doktor Avalanche. Anyway, that’s the end of the week. Next week, I’ll be guest blogging over at Jeff Vandermeer’s site, where I’ll attempt to find enough entertaining things to talk about so that I don’t have to resort to cheap theatrics with the rabbit suit. Well, crap. I must have missed the part where the Centenary Bond hardback versions were limited. Damnit. Now I must go haunt ebay. I also need to be reading the New York Times Book Design Review too. Ah, so many things. Things are slowly winding back up to speed around here. HEARTLAND is getting on track. I’ve finished the first section (which is clocking in at around 27K), and I’ve gotten a lot of the pieces in play. Still more to wrangle, but I’m starting to see how this is going to play out. The characters are showing me their ‘A’ game already, and there has been a few surprises. I’m trying to not get distracted by the entirety of the history of secret societies in France, as I don’t need ALL of them (nine will do nicely), but there’s such a fantastic history to mine. A couple of things have come to light that are extraordinarily perfect. So very nice of history to make my “fiction” easier. We snuck out and saw Quantum of Solace over the weekend. I’d give it three stars out of five. My initial reaction was to give it only two, as the director apparently watched the Bourne films and a couple of Roger Moore Bond films to get in the “right frame of mind” for Quantum of Solace. It’s somewhat surprising that, after such a hugely successful reboot with Casino Royale, the producers would allow such a backslide to old-style Bond. Marc Forster, whose direction I’ve liked on other things, should not be allowed to direct another action picture again. At least, not until he’s learned a few things from John McTiernan and Richard Donner. Same writing team as Casino Royale and you can see glimpses of the magic that made Casino Royale very watchable, but they’re hidden amid bad, hand-held camera direction and an elevated emphasis on the sort of nudge-nudge wink-wink that Roger Moore was famous for. 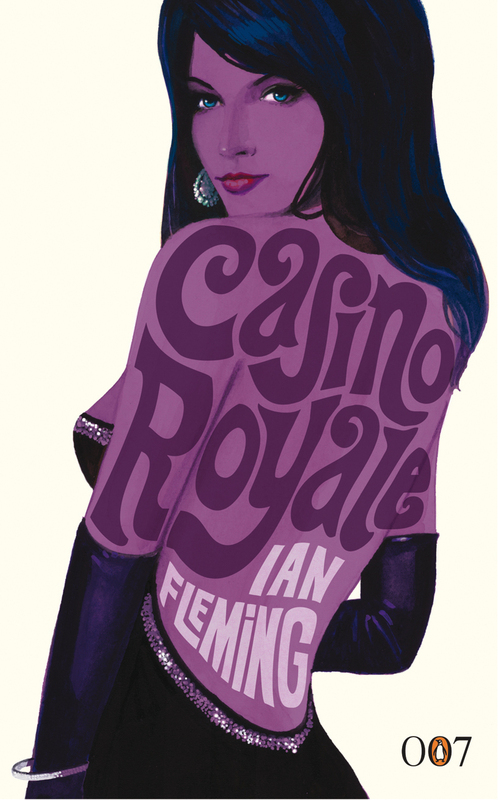 Casino Royale, for the record, is an exercise in restraint. Both Daniel Craig and Judi Densch bring an extraordinary level of expressiveness to the characters which, in turn, really makes a lot of the psychological subtext of the film pop. That’s all gone in Quantum of Solace. Forster is just too damn busy trying to be the Guy Who Shot The Shortest Bond Film Evah. Moron. Still, Daniel Craig warrants a star in my book just by showing up, so it wasn’t a complete waste. I see that Quantum of Solace has clocked the best weekend opening for a Bond film ever, and I really hope the studio doesn’t see that as a validation of Forster’s direction, but rather as a carryover of what Martin Campbell accomplished with Casino Royale. I hope. Roger Ebert’s review sums things up nicely, I think. And the script, as written, may actually have believed the same thing (“Violence for him is an annoyance. He exists for the foreplay and the cigarette.”), but that got lost somewhere in the rush to get this film into the can. I was at World Fantasy Convention in Calgary this weekend where I slept with John Klima, shared tongue with Nikki Kimberling and Diana Rowland, and got groped by Jay Caselberg. And that was before John and I found the upscale liquor store where they sold Polish “rectified spirits.” I’m not quite sure what’s in it. After that, things are a bit hazy. How was your weekend?